What if I don't have and don't want a Paypal account? Do you offer a free trial to possible subscribers? Can I cancel my subscription if I'm not satisfied? Someone at my company already subscribes. Can you tell me who it is? I subscribed, but I am having problems logging on. I can't access your secure server in order to subscribe online. What is Adbrands Weekly Update? How do I get listed on Adbrands.net? I have a complaint about a consumer product or a great idea for an ad. Can you help me? How do I subscribe? Click here to be redirected to our payment pages. Our preferred payment transaction provider is now Paypal, a division of eBay Inc. You do not require a Paypal account in order to subscribe, and can make payment using any valid credit card or bank account. How do I change my username or password? Just let us know by email. Please let us know what your old or existing username and password are as well so we can locate you quickly in our database. What if I don't have and don't want a Paypal account? We switched to Paypal as our preferred payment solutions service because it offers the most efficient and secure processing of international card transactions. Previously, using UK-based suppliers, we encountered numerous problems with payment authorisation on international card transactions. However, we have had no such problems with Paypal. Paypal's security systems are also extremely good. To preserve the integrity of your card information, you will be asked to create a Paypal account as part of the payment process. This is a quick and easy process, taking a matter of seconds. Please note that this account can be easily deleted after the transaction has been made. Contact us if you need further assistance on how to do this, or if you have any other questions regarding Paypal. If you are still certain that you don't want to set up a Paypal account, you can fax us your Visa or MasterCard details (but not American Express) using the form provided. Please note that we receive faxes electronically, not via a general office machine, so your card information will remain confidential at all times. Do you offer a free trial to possible subscribers? We do not offer a free trial as such. However, if you purchase an Annual Subscription to Adbrands, you have 30 days in which to decide whether or not the service is of use to you. We're confident that it will be; but if you decide Adbrands doesn't suit your requirements for any reason, you may cancel your subscription and we will issue a full refund of the amount charged to you. This offer only applies to full annual subscriptions and not to the reduced price one-month term. We can not refund any charges after the first 30 days of your subscription have expired. Do you offer reduced rates for students? I only want to see one profile. We do not feel the subscription rate to Adbrands.net is expensive, and many students already subscribe at full rate. Unfortunately the work involved in managing reduced rates or charging for access for just one profile make this uneconomic. So we regret that the answer is no. Can I cancel my subscription if I'm not satisfied? We're confident that you won't wish to cancel your subscription. But just in case, you may cancel an Annual Subscription at any point during the first 30 days of your subscription period, and we will refund the full amount charged to you. This offer only applies to full annual subscriptions and not to the reduced price one-month term. We will not refund any charges after the first 30 days of your subscription have expired. If you feel that there is a strong possibility that you may wish subsequently to cancel your subscription, we advise that you purchase a full year subscription in order to retain this option. Somebody at my company already subscribes. Can you tell me who it is? Unless otherwise arranged, subscriptions are for individuals, not companies. We request all users to have their own individual subscriptions. We offer an extremely competitive discounted rate for multiple subscribers within a company, as well as an intranet solution allowing full access to all employees. See here for more information. Can you invoice me? Currently the only instant subscription option we offer to subscribers is via credit card. However, we may be able to accept a direct transfer of funds from your bank. If you are subscribing from the UK, we can invoice you prior to payment, and we will accept payment by cheque (provided it is in UK Sterling, drawn on a UK account). However, your account will not be opened until payment is received. Please contact us if you wish to proceed along these lines. If you wish us to send you a receipted invoice after you have paid online by credit card, please email us separately after your subscription has been accepted. What are your terms & conditions? Click here to be redirected to our terms & conditions pages. I've lost my password. Please contact us. I can't remember when my subscription expires. Please contact us. I subscribed, but I am having problems logging on. There are only a very few reasons why this could happen. a You are not entering correctly the username and password you requested. You will have received an email confirming these shortly after registration. Check them carefully, and make certain you are using the same combination of capital and lower case letters you input. b Your subscription has expired. You can renew easily and quickly using a valid credit card by clicking here. Please contact us if you require further assistance. If you are getting a message that another user is already logged on using your username and password, this is a problem sometimes caused by subscribers accessing the site via AOL. Unlike any other ISPs, AOL accesses external websites using proxy servers. These connect to Adbrands.net via multiple different IP addresses. There is no way for our server to determine whether this is a single user accessing us via AOL's proxies or multiple users trying to log on illegally using a single user password, and so access is blocked. You should contact AOL for instructions on how to change your settings to avoid proxy accesses, or alternatively connect to us via another ISP. Your payment server won't accept my credit card. We accept virtually all Visa, Mastercard, American Express, Diners, Switch and other major international credit cards. If your card is declined, it is always because the transaction has not been authorised by your credit card company. This is entirely out of our control. Most often it is because of a mismatch between the data you supplied and that held on file by your card company. It may also be caused by a security measure imposed by the card issuer to preserve the integrity of your account and prevent possible fraud. Many card companies are especially cautious in the case of international transactions via the internet. You can easily resolve any such problem by contacting your card issuer - they will be able to explain the reason for the stop and will be able to release it to allow your transaction to proceed. I can't access your secure server in order to subscribe online. If you are unable to access our secure server, it may be because your company does not allow online transactions through its firewall, or because your internet settings do not allow secure connections. In this case, if you know that this is the case, please contact us. When I try to print a Profile, part of the page gets cropped off. This is a common complaint with all web pages using tables. Microsoft suggest changing the margins in the print options menu of your browser, or printing in landscape format instead of portrait. See Microsoft Support: Printing Problems for more information. But the best way is to open the pages within the full-featured version of Adobe Acrobat (if you have it) and print them as PDF files. Alternatively, PDF995 is a free utility which will allow you to convert our web pages into correctly formatted PDF files which you can print in Acrobat Reader or even Word. I'm a subscriber but no longer receive the Weekly Update. To limit spam traffic our mail server automatically stops sending copies of the Weekly Update if they "soft bounce" repeatedly. That might occur if they are rejected as spam or if your mailbox is full or unavailable for any other reason. If this is the case, please contact us and we'll re-enable your emails..
How up-to-date is Adbrands? 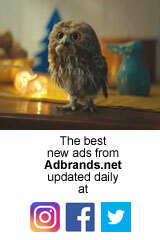 Adbrands is updated each week with the latest news and account changes. All information held in the assignments database is sourced from information issued by advertisers and their agencies, and from scouring the weekly and monthly trade press for account moves. What is Adbrands Weekly Update? The Weekly Update is, as the name suggests, a weekly round-up of significant news relating to leading advertisers and agencies. It was a complimentary service until the beginning of 2010, but is now a premium service. It is sent only to active paid subscribers to Adbrands premium services. We still send out a free weekly newsletter to all lapsed subscribers containing headlines and links to our selection of Ads of the Week. How do I get listed on Adbrands.net? There are two main factors we take into account when we choose which companies to list or profile within the main section of Adbrands.net. One is size; the other is popular demand. If your company is already one of the World's Leading Advertisers & Agencies, you are on our list to be added, but it may take some time. The key factor we take into account when selecting companies is popular demand. Each month we analyse the search requests on the site. We get more than 130,000 searches a month of our site, and if your company features high in the rankings, we'll list you as soon as we can. I have a complaint about a consumer product or a great idea for an ad. Can you help me? In a word, No. Adbrands.net is a wholly independent information service, and is not affiliated in any way with any of the companies profiled or featured. We receive many, many emails from users who mistakenly think they are mailing, for example, Procter & Gamble or PepsiCo or a particular advertising agency. Although these emails often make interesting reading, we are unable to do anything with them, and can not forward them on your behalf. They just get deleted. If you have a question or comment about specific products or services supplied by one of the companies we list within Adbrands.net, please address your enquiries directly to them, and not to us. Many companies offer a customer service area on their corporate website. If you are looking for Material Data Safety Sheets, otherwise known as MSDS, you may find the relevant information on each company's own websites - try searching with one of the established search engines - or alternatively you can look at MSDS Online at http://www.ilpi.com/msds/. We do not carry this information on Adbrands. What is your telephone number? We no longer publish our telephone number on the site. The site currently receives well over 3,000 visitors every day, many of them referred from search engines. When we published our phone number online we were literally besieged by telephone calls from users with questions or comments or complaints about consumer products. We are not connected in any way to any consumer product manufacturer, and the role of Adbrands.net is to provide business information services to the advertising and marketing industry, not to field consumer enquiries on behalf of manufacturers. We will usually respond to enquiries immediately we receive them, provided they relate to our business information services. Please contact us. Who owns Adbrands.net? Adbrands is published by Mind Advertising Ltd. The site was launched in 1997, initially under the name Mind-Advertising.com, by publisher Simon Tesler. Simon has considerable experience in consumer and business publishing. From 1980 to 1991, he was co-founder (with Carey Labovitch) and editorial director of the influential British fashion and style magazine BLITZ, as well as publisher and editor of a portfolio of large-circulation customer magazines for clients including HMV record stores and The Guardian newspaper. In 1991, he launched information services company The Magazine Business, which published a range of directories and newsletters about the international periodical publishing industry, and also produced the annual IPD International Press Awards. In 1995, The Magazine Business was acquired by Pearson plc. Simon worked at Pearson for two years, during which he was managing director of the marketing directory ALF and electronic databases Genesis and Apollo. He left Pearson in 1997 to launch Adbrands.net. He was also for several years a director of interactive agency WorthMedia and a member of the Executive Committee of the Internet Advertising Bureau (IAB) UK.